Community Transit is expanding bus service and is looking to hire new drivers, mechanics and other positions. According to the agency’s draft six-year plan, Community Transit will need more than 200 additional employees, mostly drivers, in order to meet its goal of increasing service nearly 40 percent by 2022. From 10 a.m. to 2 p.m. Wednesday, July 12, Community Transit invites prospective job candidates to meet with staff, learn about the agency and check out a bus. People are encouraged to bring their resumes for HR staff to review and offer tips for completing a successful application. All Community Transit job applications must be submitted online. Visit www.communitytransit.org/jobs to see what jobs are open and to apply. 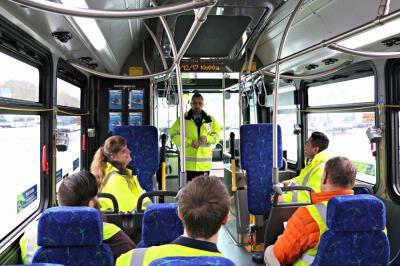 Community Transit provides paid training for bus drivers; no experience is needed and the agency helps employees obtain their Commercial Driver’s License (CDL). The Job Fair will be held at the Community Transit Merrill Creek Operating Base at 7100 Hardeson Road in Everett, accessible by Everett Transit Route 8.